After a 2-0 start to the season, the No. 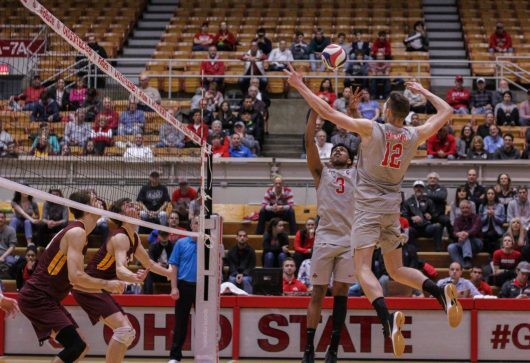 7 Ohio State men’s volleyball team will attempt to earn its first ranked victories out west against No. 5 BYU and No. 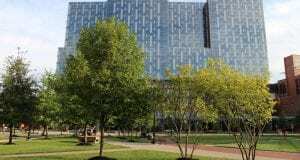 11 Stanford. Ohio State began its season with nonconference home wins against Charleston and Penn State. While BYU will begin its season with the match against the Buckeyes on Thursday, that doesn’t mean there isn’t plenty of emotion between these two teams coming into this match. Though the Cougars topped the Buckeyes in a five-set match this past season in Columbus, the previous two NCAA tournament matchups between these teams ended in back-to-back titles for the Buckeyes in the 2016 and 2017 national championship matches. BYU sophomore opposite hitter Gabi Garcia Fernandez will look to build on an impressive freshman campaign, in which he was ranked No. 2 and No. 3 in points per set and aces per set, respectively, in the Mountain Pacific Sports Federation (MPSF). In order to continue its perfect start to the season, Ohio State will need to rely on redshirt sophomore opposite hitter Jake Hanes, who currently leads the country with 5.29 kills per set and 6.14 points per set. Following the Thursday match between top 10 teams, Ohio State will face Stanford (2-0) on Saturday. The Cardinal began their season with wins against Menlo and UC Santa Cruz, and they’ll be facing off against Ball State on Thursday before taking on the Buckeyes. Ohio State has won the past three meetings against Stanford. The Cardinal are coming off a season riddled with injury in which they won just six matches. Stanford brings back sophomore opposite hitter Jaylen Jasper, who carries MPSF Offensive Player of the Week honors into the match against the Buckeyes. Jasper has a .654 hitting percentage and is averaging 4.33 kills per set through the first two matches of the season. But the Cardinal aren’t the only ones with returning top talent. Senior setter Sanil Thomas led the country with 11.28 assists per set last year, and he’ll need to play every bit like last season if the Buckeyes want to reach next week unscathed. Ohio State takes on BYU at 9 p.m. on Thursday and Stanford at 10 p.m. on Saturday.